Toronto is truly a world within a city. Electrifying, dynamic and cosmopolitan, Toronto is home to more than 100 cultures, offering sensational festivals and performances, friendly neighbourhoods, and a fantastic urban atmosphere! 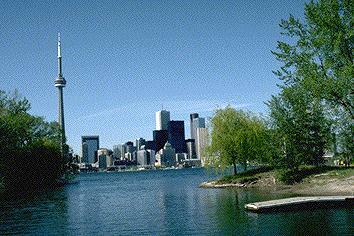 Toronto is Canada's largest city, with a population of 2.4 million. (Population of the Greater Toronto Area is 4.4 million.) One-quarter of Canada's population is located within 160 km (100 mi.) of the city. As the capital of Ontario, Toronto is the seat of government for Canada's most populous province, and in fact is the industrial and business centre for the country. Toronto is the Huron Indian word for meeting place.